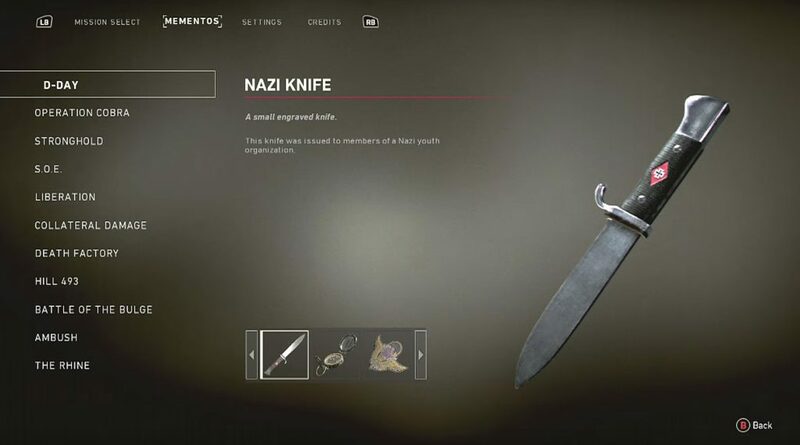 Mementos are collectibles in Call of Duty WW2. There are 33 mementos scattered throughout 11 missions and none of them are missable. You’ll find 3 mementos per each mission. Once you collect memento it will be automatically saved, thus, you don’t have to pick it up again if you die. 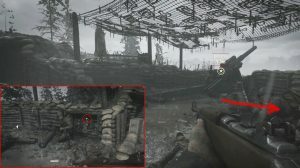 Call of Duty WW2 Memento Locations guide will show you collectibles in order of story progression and help you unlock Pieces of History Trophy / Achievement. 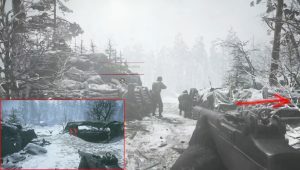 In the first mission D-Day during objective Ascend the Bluffs, follow the trench to the very end, then turn right into a turret bunker. You’ll find a knife stacked into a wooden log. 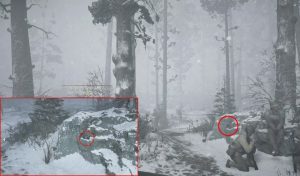 The second memento – Compass can be found during objective Clear the Bunkers. Before you enter the fourth bunker, turn left and follow the path. You’ll come across a storage room, but this time the metal door will be open. Compass is waiting for you on the Ammo box. The third collectible you can find during the objective – Rally with your Platoon. Once you destroy the Artillery with TNT in a small helmet, head into the stable behind the . Next to the second door, on a small wooden table, pick up Pathfinder Patch, the last collectible in the Mission 1. 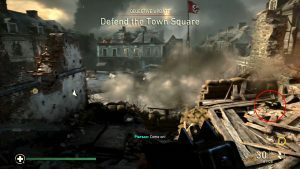 #4 Lighter At the start of the mission, during objective Get on the Tank, turn to the right and you’ll see two soldiers standing next to barrels, near the transport truck. Find the collectible on the barrels. #5 Pocket Watch In the area with farms, check the far left side. 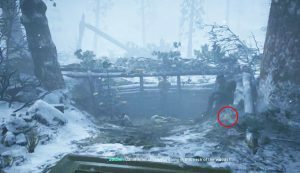 In a wooden shack, during objective Reach the AA Gun, you’ll find shining memento in the form of a Pocket Watch, on a small table. Pick it up before searching for the gun. 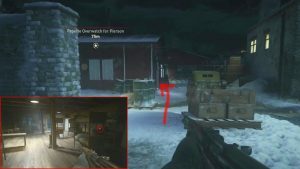 #6 Gas Mask In the Push forward with your Armor objective get behind one of the tanks and follow them until you reach a huge bunker. 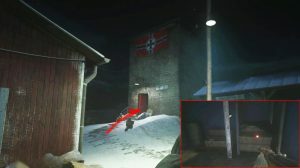 Inside the bunker you’ll find the gas mask on a Nazi corp. Inside the first building from where you start the mission (one with number 32 on it) is the Locket Memento. 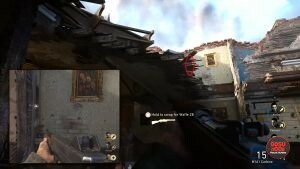 Go up to the first floor of the destroyed house and you should see it hanging next to a painting with a golden frame. It is directly opposite of the entrance into the building. 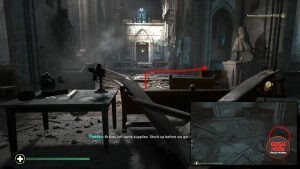 SS Pin is well hidden inside the church. 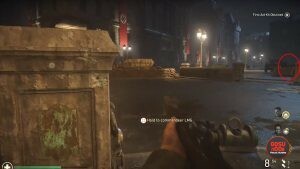 As you go inside you will have to clear some enemies and the flamethrower guy. Before you leave the church look for a hole in the ground near the right wall. There is a little alcove there with SS pin just slightly shining in the dark. After protecting your squad from the bell tower you’ll exit the church. As you exit you’ll see a flag straight ahead of you. Go towards it just a few steps and you should be able to see a fuel canister next to the first barricade (where enemies spawn). If you picked up the flamethrower, this goes quite well with it. 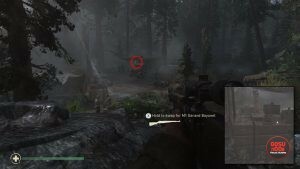 COD WW2 Mementos Location Mission 4 – S.O.E. 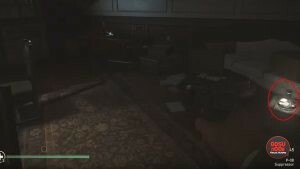 At the start of the mission, go through the first house. In the backyard, turn left and you’ll find the poster hidden in a bucket near several guards. You’ll have to kill all guards. 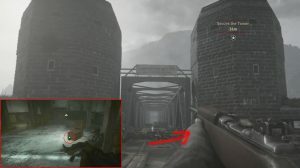 In the Stop the train objective, when you enter the house, just go straight ahead into the second room, then turn left. You’ll find a dog collar on top of the piano. 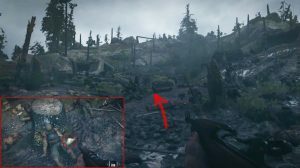 At the end of the chapter, objective Rally with your Squad, after the train crashes, you’ll come to the area where a dog will attack you. 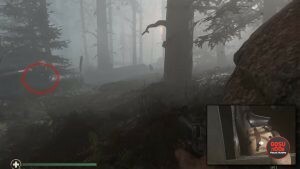 Before going up the hill and jump over the log, look for memento collectible on the box. You are undercover in Paris. As soon as you enter the building you need to find the Toilettes if you want to get the collectible. Walk straight from where you entered and you should see the Toilletes door in the right corner (right of where you enter to go to the basement and where the iron cage elevator is at) Alternativelly you can go straight from where you entered and turn right past the iron cage elevator and the door should be just around the corner. Propaganda Poster is in one of the stalls, on the floor. After your meeting with Heinrich and getting the explosives you’ll be in the courtyard. There’s a door, behind the truck where you are supposed to place the explosives at (at the north gate), that you can lock pick. 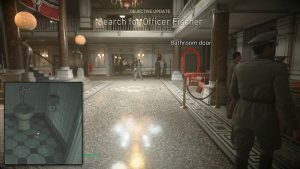 It is opposite where you have the optional objective to rescue Fischer. After you pick the lock use the stairs on your immediate right to get up to the first floor. In the room there, on the briefcase, is the Liquor bottle. Now that the stealth part is over it is time for you to fight your way through the streets of Paris. As you make your way you’ll have the Notre-dame church on your right at one point. German Medal is on one of the crates next to the German troop transport, directly in line with Notre-dame. After the Sherman tank driving section, you’ll get objective Reach the Hotel. Follow a narrow street, then turn left . You’ll see a huge white HALT poster, and a piano next to it. Grab a piece of paper on top of the piano. 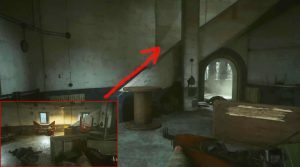 In the second apartment, after the cutscene in the living room, where you can help a soldier, you will see two huge holes in the wall. Go through the hole to the right (several enemies will be waiting for you), then upstairs. Turn around, go to the last room, on the fireplace memento is waiting for you. Once you help a soldier to move a truck, you’ll get objective Secure the hotel. When you clear the path – blow up the hotel’s wall, and enter the lobby, turn right. Hotel pen is hidden below the front desk. After you defended the bridge your squad splits and you go down the river to eliminate the mortar team. There are three trucks there, one with the camo tarp next to it. German Flare Gun is on the crates under the tarp. During your escape you get split up and need to find your squad. You’ll immediately come across a dead airplane pilot hanging from its parachute. Past him you’ll get attacked by a dog. There’s a crashed airplane body there. Inside is the Food Container. Enter the bunker where the sniper is at. Open the door that reveals a staircase leading you up to the sniper nest. Collectible is hidden on top of a chair placed on a girder above that staircase. As you’re climbing up the hill towards the bunker, look for a dead soldier propped up against a tree stump. The journal is on the ground next to him. When you’re in the trenches, getting ready to use the thermite to destroy the artillery gun, turn left and look to where Pierson is kneeling. 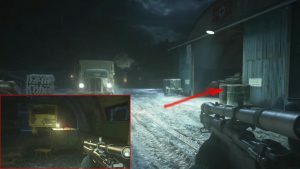 There’s an ammo cache behind him, and the collectible is on top of the ammo boxes. As you exit the bunker and start your assault on the last artillery gun, go left. You’ll find a bunker next to the burning tree in the woods. The billfold is on the bunker’s window. This one is within arm’s reach from the spawn point. It’s on the low rock next to the three soldiers in conversation. This collectible is in the foxhole where you’re supposed to deliver the ammo. It’s next to where Private Cunkle is sitting when you arrive, by the tree. You can pick it up as soon as you put down the box. You can actually get this one from the start, but it’s easiest to get it at this point, since it’s right next to Pierson and the rest of your squad. When you near them, turn right and go around the patch of trees. You’ll see a foxhole with a cardboard box in front of it. The memento will be in the box. As you enter the German base, you’ll notice two hangars – one with a plane inside, one without. Enter the one without the parked airplane, and you’ll find the collectible on a crate near the back of the truck. The flask is located in the red barracks. You’ll find it on a dresser next to the white side-door. This one’s on the ground floor of the watchtower where you’re supposed to provide overwatch from. It’s on a wooden crate. 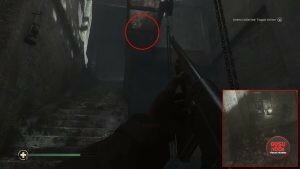 The canteen is on the second floor of the tower, next to a dead body in the middle of the room. Go into the room where Pierson is waiting, but instead of approaching him, you should head up the stairs. The stein is on a table on the upper floor. Once you’ve got the previous one, keep climbing to the top floor. 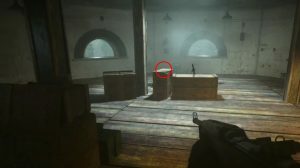 You’ll find the letter on the crate next to the machine gun nest.